The wife and I have received an email today informing us of the impending launch of NATHAN SUITES on 2nd April 2010 (TBC). 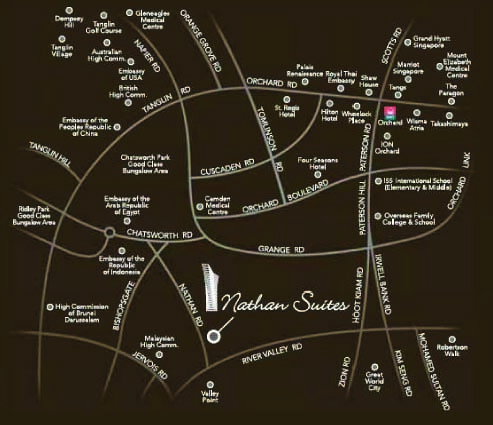 NATHAN SUITES is located within walking distance to the Good Class Bungalow Zone of Bishopgate. All units are supposedly orientated to overlook the verdant greenery of Bishopgate. 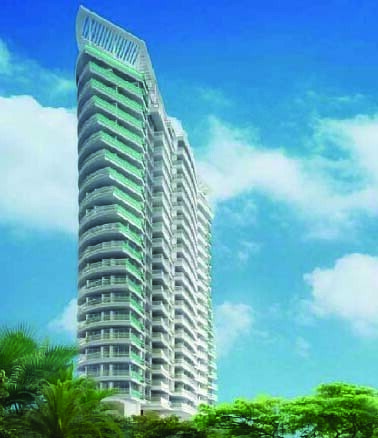 Each apartment will be furnished with luxury brand names such as Poggenpohl, Gaggenau and Laufen etc. The living/dining room floors will be fitted with imported marble pieces that measure 60cm by 90cm in size – a rarity compared to the usual 60cm x 60cm marble slabs found in most other new projects. Facilities: Function Room with kitchen, Changing Rooms with steam rooms, Gymnasium, Lap Pool, Hydrotherapy Pool, BBQ, Fitness Corner, Suntan Deck, Yoga Deck, Splash Pool, Water Hammock, Children's Playground, Water Features and Feature Gardens. No Comment to " NATHAN SUITES "